Pink wine is on the RISE! 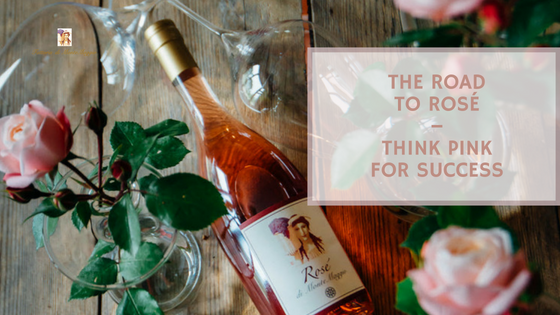 And who hasn’t tapped ‘like’ on a post under the hashtags #roseallday, #yeswayrose, or #drinkpink on Instagram? Elaborate wine drinking photos featuring lovely hues of pink that almost communicate a sort of lifestyle of luxuriously sipping rosé wine all-day-long. Let’s face it, it is trendy to drink pink and in winemaking country, it’s no different. Rosé is the unofficial drink of the Millennials. Of course, you now might think that there are other more important wine trends. In Italy, however, the rosé wine production with indigenous grape varieties is becoming more and more important and the export is increasing steadily. Let us take a closer look at some history and statistics regarding rosé wines. In general, winemaking in ancient times produced wines that were lighter in color and body. This was because techniques such as longer maceration times and a harder pressing of the grapes were not applied. Often white and red grapes were mixed and pressed and stamped with the feet together leading to wines with a light color. In fact, it is believed that already in Ancient Greece, people drank a red wine that likened a rosé wine made by blending white and red grapes. Indeed, it was considered more civilized to drink rosé style wines rather than undiluted wines. Only brutish and uncivilized people drank full-bodied red wines. The making of this kind of lighter and fruitier wines lasted well up to the Middle Ages. In this period, the Claret wines from Bordeaux started to gain success, especially on the English market. Claret wines were nothing other than light-bodied red wines with a pale red color very similar to rosé wines. Moving forward towards modern day times, depending on country and continent, rosé wines still had a bit of a downward trend often being seen as cheap wine made in bulk or, as in Italy, a wine you drank by blending white and red grape juice. In France, rosé wine has its own important place in the domestic wine world as a wine they produce as a category of its own. More recently, rosé wine has become trendy and fashionable all over the world and, as mentioned, the consumption is increasing steadily worldwide. A fresh, fruity, and enjoyable rosé wine is perfect as an aperitif as well as paired with lighter food. How is rosé wine made then? Well, there are generally three main methods for making rosé wine. Often referred to as the “French” method where you have grapes grown and harvested a bit earlier with the clear aim of making rosé wine. The grapes are pressed, and the juice is kept in contact, macerated, with the grape skins for a period generally between 2-24 hours. Thereafter, a rosé wine is made with the juice. This is when a part of the must under maceration for making a red wine is drawn off from the tank. The separated juice is used to make a rosé with a light color. The remaining must in the tank then gives a more concentrated and darker red wine. The saignée or salasso method used to be common in Italy, though nowadays more and more producers are starting to use the “French” method. This method means that a smaller portion of red wine is added to a tank containing white wine. It is not a commonly used method today but was rather more popular in the past. Apparently, it is still used in regions, for example in France, where they make sparkling wines. The rosé wine market has been growing steadily since 2011 (with 126 million liters) according to the Gambero Rosso that base its numbers on the IWSF – Vinexpo Reports. The market for rosé wines is expected to grow with another 135 million liters up until 2021. The biggest markets are in the US, France, South Africa, Denmark, and Australia. An interesting fact, according to the IWSF (International Wine and Spirits Fair) – Vinexpo Report 2017, is that younger consumers prefer a sweeter rosé style rather than the more classic pale and dry rosé wines. A key factor for the success of rosé wines lately is, of course, that it works well during spring and summer as a fresh, fruity, light, and chilled wine that is an alternative to more complex white and red wines. In the US, it is apparently sometimes nicknamed “summer water”. Another important factor is social media where the younger generation of consumers has been a crucial force in creating a sort of ‘pink’ image online for rosé wine. It is part of a younger lifestyle as well as in the wine community on Instagram, Twitter, etc. Just think about that around 60% of younger people between 18 and 29 daily are posting on Instagram. That’s an entirely new wave of wine drinkers who think pink with rosé as their preferred wine. Things are happening in Italy too when it comes to rosé wines. Consorzio Tutela del Chiaretto e del Bardolino has been one of the driving forces here under the leadership of Angelo Peretti. He has taken the production of Chiaretto wine in the Bardolino area to a new level by shifting the focus to the local territory, its native grape Corvina, and a use of the “French” method. In less than 10 years, the Chiaretto producers are firmly on the rosé wine map. The Chiaretto di Bardolino has increased their sales by 8,2% just during the last year. Italian winemakers Consorzio Tutela del Chiaretto e del Bardolino also strives to create collaboration between various rosé wine areas in Italy, such as Consorzio del Valtènesi, Vini d’Abruzzo (Cerasuolo d’Abruzzo), Castel del Monte, and Salice Salentino (both in Puglia). On June 22nd, they came together to celebrate #oggirosé (#todayrosé) day all over Italy by promoting over 300 events in wine bars, restaurants, shops, etc. in the various regions. A pink day par excellence! 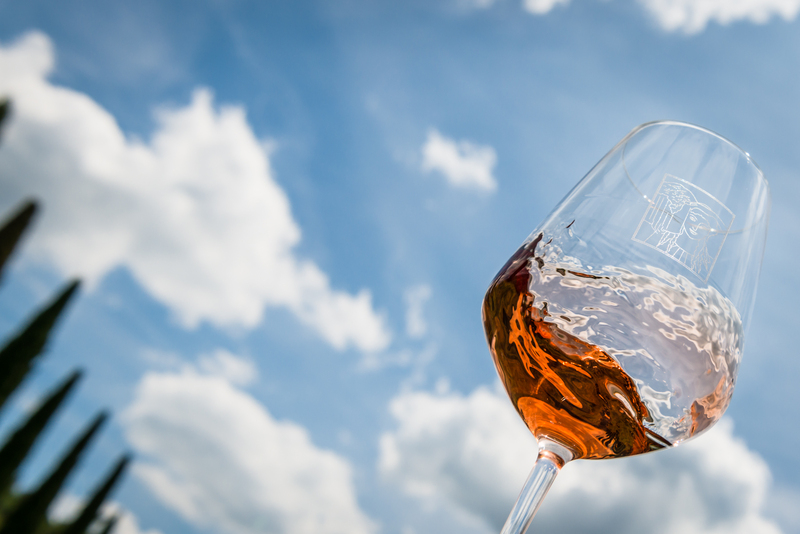 Other events that are strengthening the image of rosé wines in Italy are, for example, Italia in Rosa by Lake Garda (in June every year) and Roséxpo in Lecce (in June). At Montemaggio we also make a monovarietal rosé wine! With Sangiovese grapes that are picked a bit earlier to produce a better acidity and lower alcohol level. The juice stays in contact with the grape skins over the night. Thereafter, the skins are separated from the juice that is fermented in steel tanks at a low temperature for 10 days. Our rosé wine is then bottled and released to the market after about a year. It is a fresh and fruity wine with minerality and slightly floral notes, so typical of the Sangiovese grape. Do you also love rosé wine? Learn more (montemaggio.com/lang-en/13/contact_us-46.html) about our process and wines at Montemaggio – we offer tours, tastings, and unique travel experiences in the heart of Chianti. Read more about the Montemaggio wines here.